Meet Live Owls! 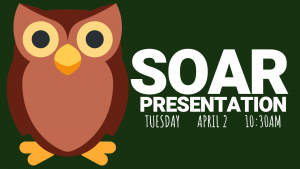 Doris Mager, founder of Save Our American Raptors (SOAR), will be at the REACH to talk about her years of experience in raptor rehabilitation with her two LIVE owls. Remember to bring some extra cash to purchase Birds of Prey swag and take a photo holding E.T. the Great Horned Owl! 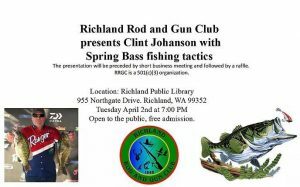 Clint Johanson will share Spring Bass Fishing Tactics and Strategies at the monthly meeting of the Richland Rod & Gun Club. This event is open to the public and free to attend. Are you bored? 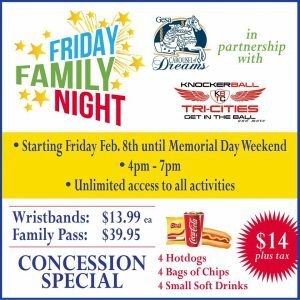 Sick of staying at home during Spring Break? Come over to the REACH for hands-on learning and fun in partnership with Remake Learning Days! Our Education Team will have a variety of STEAM-related activities appropriate for all ages, featuring Imagination Playground blocks from HIHO, Thrive Creative Dance on the Solar Stage, a guided nature trail walk, and local wildlife crafts. 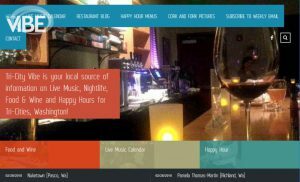 Ethos Bakery & Cafe is catering onsite with food & beverage for purchase. 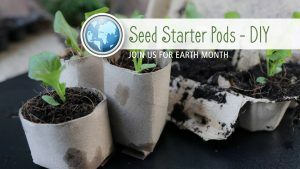 Join us for an Earth Month DIY project planting your own seed starter pods. We will have all supplies on hand for this Free project (while supplies last). Free sherbet scoops to celebrate the sunny spring weather! 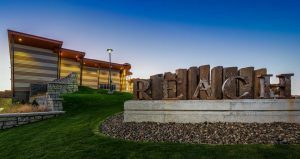 1st Thursday Downtown Kennewick businesses will also be open late to showcase local art, live demos, and local talent! Join a conversation with philosopher Dr. Brian G. Henning that explores the costs of and possible alternatives to industrial livestock production on our small planet. 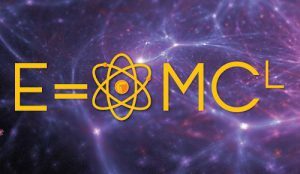 Mid-Columbia Libraries hosts local experts for our E=MCL science-focused free community lecture series. All ages are welcome. 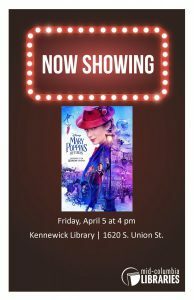 Join us for the continuing magic of Mary Poppins Returns. 5th-8th grade girls can explore space-focused topics through fun, hands-on activities. Come check out the portable planetarium show, work with robots, and explore future career pathways in STEM fields. 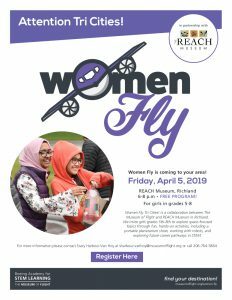 Contact womenfly@museumofflight.org for more information about registration. 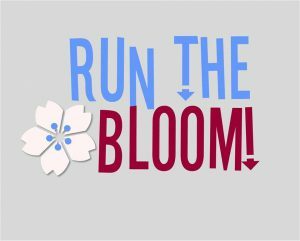 Registration opens at 8:00 a.m. – Race starts at 9:00 a.m.
Cherry Blossom 5k Run Walk is an annual event put on by the Kiona-Benton Booster Clubs supporting students within our community. We help fund local programs within our school district programs. All the proceeds from this race go toward the Kiona-Benton High School Leadership Class and Performing Arts this year. Medals will be awarded to the first three male, first three female, and first three walkers. 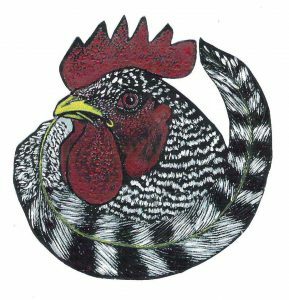 This is a 4-H sponsored poultry event and is free for everyone! The field trip with an amazing view! 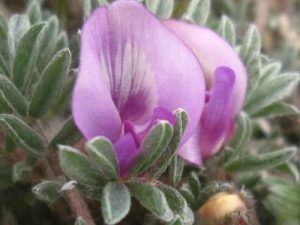 Come join us for a spring wildflower walk on Candy Mountain. Guaranteed sweet treats for the eyes!. Meet: 10:00 a.m. Candy Mountain Trailhead at the parking lot, south side of Candy Mountain. Dress appropriately for the weather, bring snacks, and don’t forget your cameras. Please contact trip leader Steve Link at stevenlink@me.com if you plan on attending or would like more information. 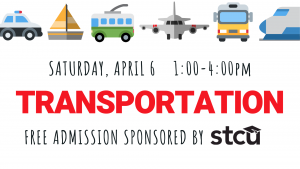 Don’t miss out on hands-on activities all about trains, planes, automobiles, and more. Representatives from The Museum of Flight in Seattle are coming as special guests! From 4:45 p.m. – 9 p.m. 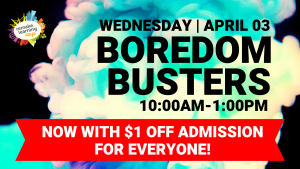 Admission: $10 adults, $5 Students (11-17), Kids 10 and Under FREE with adult! 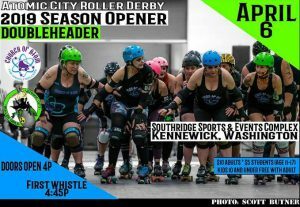 2019 Atomic City Roller Girls Season Opener! Saturday & Sunday from 10 a.m. 4 p.m.
Join us for the Third Annual Three Rivers Pet Expo! This expo is open to the public and their pet companions. * We will host everything from pet shelters to pet accessories! It is your one stop shop for a happy, healthy pet! Documentary. USA. English. PG 13. 93 min. 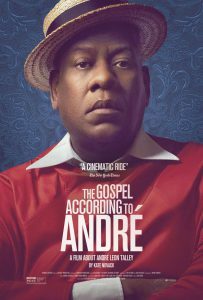 The life and career of operatic fashion editor Andre Leon Talley is traced from his early years in the segregated South to his barrier-breaking work redefining the boundaries of fashion around the world. A poignant portrait of Talley who was inspired by the effortless glamour of his late grandmother and the grandeur of traditional church wear as a boy growing up in the segregated Jim Crow South. He became one of the first black voices in fashion and an icon of taste-making. Featuring rare archival footage as well as narratives from industry legends, this film pays tribute to a man whose influences spans decades and continents. This feature delves much deeper into the reflective, sentimental, and elegant soul that is Andre Leon Talley. 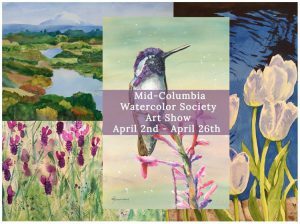 This exhibition will feature selected works from members of the Mid-Columbia Watercolor Society. Exhibition will begin April 2 and end April 25. 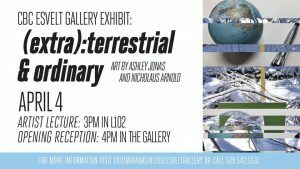 The reception will be Friday April 5 from 6-8 p.m.
Join us for an artist lecture at 3 p.m. in room L102 and directly after at 4 p.m. in the gallery for the opening reception for Ashley Jonas and Nicholaus Arnold’s exhibit, (extra): terrestrial and ordinary. This two person exhibition will present the photographic/ sculptural work of Nicholaus Arnold and the sculptural assemblage of Ashley Jonas. Arnold’s work explores loss and loneliness in a series titled “i wish i were an astronaut,” which pairs beautifully with the sculpture of Jonas, which places focus on objects and their relationship to the space around them. This exhibit runs through May 3. 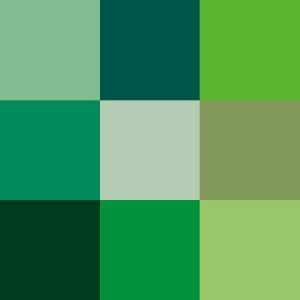 – April 5: Cell! Cell! Cell! 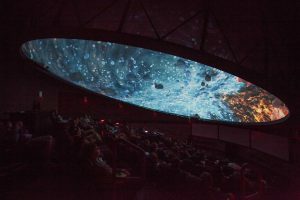 at 7 p.m. and Oasis in Space at 8 p.m.
– April 6: The Life of Trees at 2 p.m. and Stars of the Pharaohs at 3 p.m.